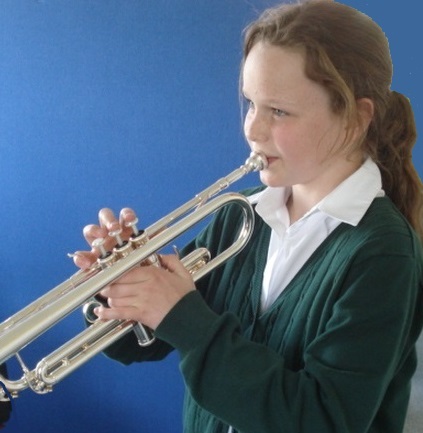 I am a highly motivated and enthusiastic peripatetic brass and recorder teacher offering a diverse range of high quality musical learning opportunities for instrumental tuition, First Access (whole class) and Curriculum Music teaching as an Associate Provider for Wiltshire Music Connect. I also work as a supply teacher across all age ranges, and am a senior examiner, team leader, moderator and examination paper scrutineer with a leading exam board, marking GCSE and A Level Music papers as well as moderating GCSE performing coursework. Working with children and young people is particularly important to me, as I believe music provides a valuable foundation to increase self-confidence, develop teamwork and social skills, and provides an environment for achieving higher self-esteem. As a peripatetic music teacher, I work both in schools and in the home environment. I am currently the conductor of North Wiltshire Intermediate Wind Band and Westbury Choral, and the assistant conductor for West Wiltshire Intermediate Wind Band, West Wiltshire Junior Wind Band and Amesbury Town Band. I am also the principal trombonist here and play second trombone for Bratton Silver Band, as well as singing with In Ecclesia. I perform at concerts and events throughout Wiltshire and the surrounding area, and regularly conduct and play for bands and orchestras across the south west of England. As a peripatetic and supply teacher my classroom experience is varied and includes working with primary, secondary and special schools. This provides me with the ability to work with children across the behavioural and educational needs spectrum. Extra-curricular activities are very im portant to me, and as the Musical Director for Southwick Entertainers, I am passionate about creating highly successful productions and performances for the community and the enjoyment of the members. A list of Continuous Professional Development (CPD) activities, up-to-date Safeguarding, DBS, and Public Liability Insurance certificates are available upon request.